How do the businesses ensure that their business insurance will cover any emergency or possible situation? Who is there for the businesses to put insurance policies in plain words so that the owner can make educated decisions? Why is commercial general liability insurance needed anyways? Isn’t everything covered with plain liability insurance? Where are you going to find the answers to your questions about business insurance? Insurance packages are offered through a carrier. There are various insurance carriers, and they also typically use a network of brokers to assist them to manage the clientele. Brokers will assist you to get an application filled, and have it brought to the insurance policy underwriters at the insurance carriers that are most able to help you, to help you look at multiple prices, and choose the best deal. Don’t forget to have a loss history, tax statements, and an EIN to submit to the underwriters, as well as personal financial records for the officers and member of organization, specially when this is the first time being underwritten and you have not had insurance previously. Any type of insurance just to be covered is not the solution when it comes to a business that you worked so hard to create, maintain and grow. Finding out after the fact that an emergency situation that occurred is not covered with your business insurance costs you much more than having the correct policy in the first place. Keep your profits where they should be, promoting and growing your business. What Insurance Plans Are Necessary For Scottsdale Arizona Corporations? Scottsdale Business Insurance plan requirements differ from industry to industry, and insurance requirements vary between states. As such, Scottsdale Arizona contractors need to have a general liability plan, which could be acquired by using an insurance brokerage, as well as bonding insurance plans, that may be obtained through a broker or a provider that specializes in bonding. Worker compensation is another type of insurance policy that is vital in Scottsdale AZ, and needs underwriting and authorization. Unlike other kinds of insurance plans, this insures your workers against injuries and accidents while at work, and covers health care costs and paid time off. Like every other policy, they have minimums and maximums, in addition to deductibles and exemptions. If you’re an electrician, you understand there are inherent risks of being sued, that would probably be greater than if you were a Beauty salon owner. Just as plumbers, roofers and drywall construction companies are at greater risks of being sued than others. No matter what your profession, PJO can help you find the right coverage, for the best price. There is fine print with Scottsdale commercial general liability coverage, which we will go over with you and make sure you understand. Insurers will have to pay while the policy is active and any amount above the limit would come out of pocket for you. Due to this, Commercial Umbrella Insurance is recommended. If you are a business owner, you most likely own some kind of general liability plan to safeguard you in situations that a lawsuit is filed against you and your company due to carelessness on your part that resulted in bodily harm or property damage. However, there might be instances wherein the boundaries of your policy may not offer sufficient protection. In this event, commercial umbrella insurance can offer you and your workforce with extra liability protection. A commercial umbrella policy offers liability restrictions in exuberance on those on your general liability scheme. This yields extra protection in the event of a tragic scenario that ends in hundreds of thousands and perhaps even million dollars worth of lawsuit. 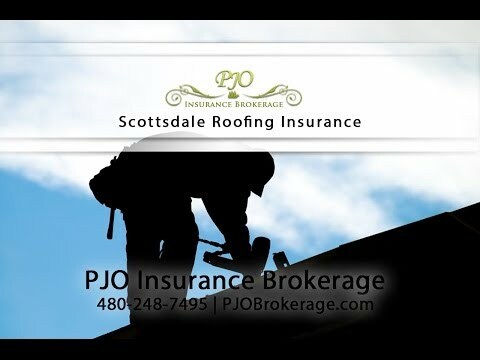 PJO knows how to get you the best Scottsdale contractor’s insurance in this specialized market. We have learned over the years, working with the number of clients that we do, and have developed many relationships. We bring this level of expertise to the table to help all of our contractors get the proper coverage at the right price. Contractors insurance, at the best possible premium, through a wide range of A plus rated carriers is what we promise to our clients. We help our contractors get coverage including Builders Risk Insurance, Errors and Omissions, Inland Marine Insurance, Property Insurance, and Excess Liability Policies. PJO Insurance Brokerage understands your unique needs and know how to analyze your company and get you a quote for the insurance you need to operate. We will review your policies and go through a full analysis of your coverage, as well as review contract specifications when you request us to. Did you know there are different types of AZ business insurance available depending on your construction project? One of our professionals can help you choose the right insurance for your next job. You need a top notch insurance company with competitive rates to help you in today’s very tough market for contractors, especially in Arizona. We can give you the personalized service you need to ensure you have minimal exposures and maximal coverage. What should be my policy limit?What are the rates for my coverage based upon? Can I get insured even though my business has not yet opened? Does the law require insuring my business? Does the city of Scottsdale have any special requirement? You never know when there is going to come a time that you will absolutely need the proper type of Scottsdale Business Insurance in order to protect your from the liability of having to pay costs out of pocket, potentially putting your, or you company at financial risk, or even the risk of losing assets to liquidation. As a dentist you pull a healthy tooth from your patients mouth, and she sues you for negligence or even malpractice. You arrive to work one morning to discover your computers, or expensive equipment have been stolen, or damaged. During a large or even small construction, or roofing job, you or an employee injures themselves or damages the property or work-site. One of your employees leaves on a coffee maker and forgets about it, which ends up burning down the building you lease. After the unexpected resignation of your company’s accountant, you find she has been writing company checks to herself and family members for the past 13 years. In addition to the loss mitigation aspect of insurance, there is also a customer peace of mind issue. People like knowing that the person they are buying a service or product from is insured against catastrophe. If you give a contractor a deposit on work, or a manufacturer a payment in advance for a deliverable, there needs to be some reasonable guarantee that they are able to deliver. purchasing from insured operations is the best solutions, which why we are expert business insurance agents Scottsdale. 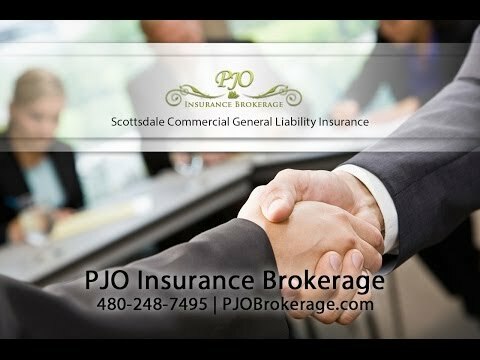 The Scottsdale Arizona insurance brokerage firm of PJO is now offering business insurance plans including commercial general liability insurance, contractor insurance protection, bonding insurance, roofing insurance, nursing home insurance packages and many more. Not sure what these types of business insurance means? Listed here is a little information about these insurance coverages. Liability insurance helps protect a Scottsdale enterprise in case there is a lawsuit or on the job injury. Contractor Insurance policies are to protect commercial and residential contractors in Scottsdale Arizona. Bonding insurance plans insures someone who hires a local licensed contractor to help insure the project is completed right. Nursing home insurance packages helps protect the owners of a nursing home, assisted living facility, or home health-care facility. The insurance brokerages know how difficult it can be to stay protected while running a business in Scottsdale, Arizona for this reason they have started offering cost-effective business insurance. This supplies small companies the protection they need! The 1st step is knowing what insurance your organization would need to stay covered. 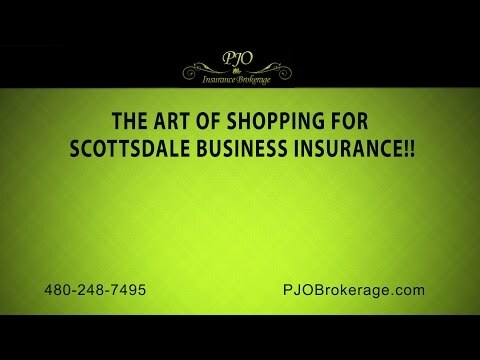 Contact the Scottsdale office of PJO Insurance Brokerage to start being protected with business insurance protection. 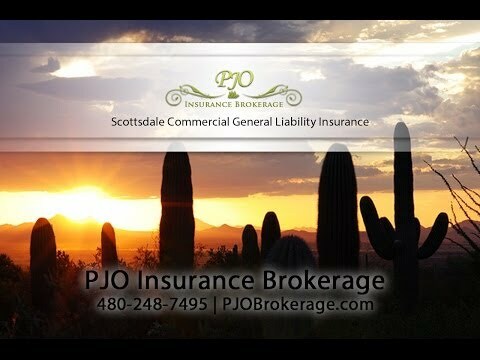 PJO Brokerage is committed to those who they insure, whether it be a commercial general liability insurance policy for a large licensed contractor, insuring a nursing home in Arizona, Phoenix bonding insurance plan, roofers insurance plan, or contractor insurance plan or any other commercial insurance coverage. We also do everything within our power to make working with your business insurance agent and claims as efficient and straightforward as possible. We do our best to generate the best relationship with our customers. We try to allow you to feel both at ease with and assured in our abilities by acting as your insurance agent. We are a business dedicated to our clients. We work to present you the best possible coverage at the lowest possible rate. 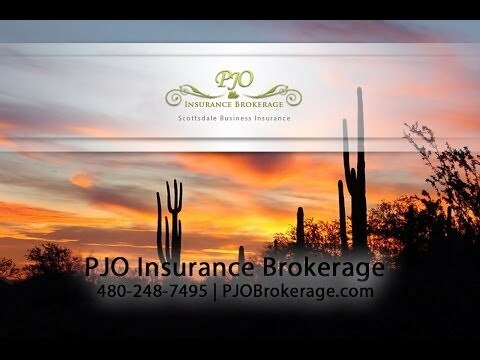 Over the years of being in business, PJO Insurance Brokerage has created a certain ethical standard in the insurance industry by helping our clients to obtain the Scottsdale business insurance that will protect their business, assets and property. We believe in supplying the full information regarding the types of insurance to not only give full liability insurance coverage but also to save your business money. Scottsdale Commercial general liability insurance is different for each individual business and customized plans need to be created to provide full coverage. As examples, a painting company may need contractor insurance and liability insurance; a hospice may need medical marijuana insurance, nursing home insurance and other types of business insurance in Phoenix; an attorney’s office may need directors and officers insurance, commercial umbrella insurance, bonding insurance and may even possibly need fidelity and crime insurance. There are a diverse amount of the types of business insurance that are available. With thoughtful planning your business can be fully covered leaving you to put your attention on flourishing. Scottsdale, Arizona has earned itself some interesting names such as “The West’s Most Western Town” and the “Most Livable City by the United States.” It’s where the ancient tribe of Hohokam Indians used to live and in the present borders a huge Indian Reservation. The old traditions meet the new in the downtown area with the quaint Old Town Scottsdale shops and the new Downtown Waterfront eating, shopping, business and living area. Although a small city of approximately 220,000, Scottsdale is known for its dining, late night activities and buzzing hotel scene. The city is alive both day and night with activities for tourists plus the local young and old crowd. The city improves its roads, adds zero-scaping to enhance the beauty of the city and plans for new developments that will increase the attractions in the area. With the hustle and bustle both night and day, the area is prospering.